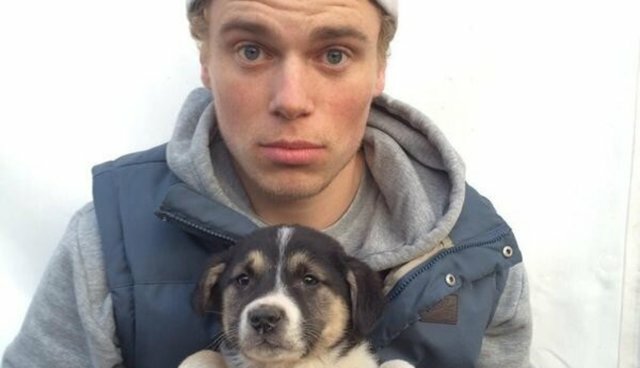 When U.S. Olympic skier Gus Kenworthy grabbed international headlines for planning to adopt a family of stray dogs from Sochi, didn't expect one of the puppies to die. One of the puppies that Olympic silver medalist skier Gus Kenworthy adopted while in Sochi for the Winter Olympics has died, his representative confirmed today. "Sochi," a female stray, died while Kenworthy's friend, Robin Macdonald, was trying to get the adopted puppies back to the United States for proper treatment, Kenworthy spokesman Michael Spencer said.